This blog was originally posted by the Open Government Partnership. 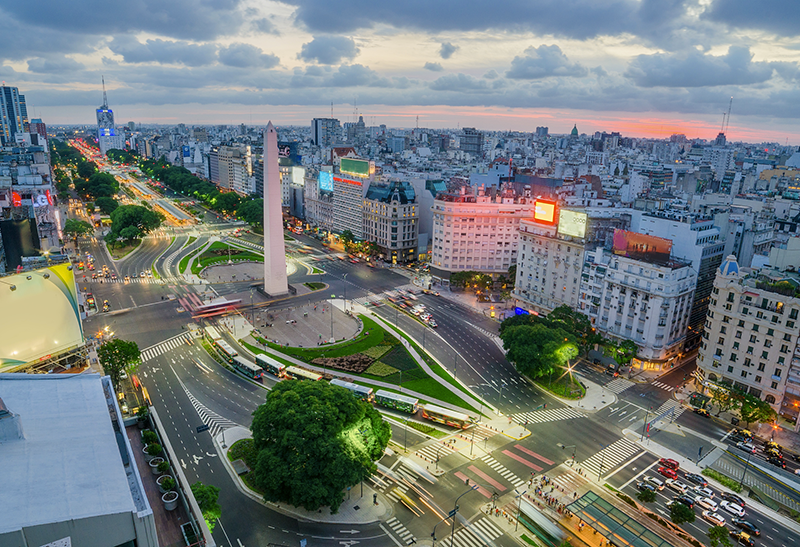 The City of Buenos Aires got a staggering response when they launched BA Elige in 2017, a competition that asked residents of Buenos Aires to nominate and then vote on projects to improve the city. 3.3 million people visited the website. 3.3 million. (Anyone, regardless where they lived, could propose projects. Only Buenos Aires residents could vote to select the final winners). That is, according to Google, almost half a million more people than live in the city. 26,000 people submitted proposals to the competition, and 140,000 people voted on them. The winning projects, which ranged from requests for yoga in parks to better street lighting to improve safety, will be carried out under the city’s 2018 budget. What do people want? Are we helping them get it? If not, what should we do differently? The remarkable engagement with Buenos Aires’ Elige campaign was just one story that Alvaro Herrero, Under Secretary for Strategic Management and Institutional Quality and Open Government Partnership Point of Contact for the City of Buenos Aires, shared at the workshop for government representatives before the OGP Americas Regional Meeting. I was lucky enough to join the group in order to facilitate a discussion about how governments, both national and subnational, can listen and respond to citizen feedback. The governments represented at the workshop are working hard to engage their citizens in transformative conversations. Yet one question kept surfacing over and over again during the Regional Meeting. We’re making impressive strides listening and responding to citizen feedback – so how do we make sure these citizen engagement initiatives continue? How do we ensure that the next government to come into power maintains and builds upon them, instead of getting rid of them? Affonso Massot, Deputy Secretary of International Relations for Sao Paulo, spoke during the opening of the Regional Meeting about his government’s desire to turn openness and citizen engagement into a permanent municipal agenda. Scott Brisson, President of the Treasury Board of Canada, invited a member of the Canadian opposition to attend the Regional Meeting with him in the hopes of creating bipartisan support for Canada’s open government agenda. Efforts to build bipartisan buy-in to government openness are important. But more is needed. How do we make sure openness agendas persist over the long-term? By making sure they reflect and respond to citizen priorities. By making sure that openness and transparency makes a concrete difference in the lives of citizens. And by systematically listening to citizens and closing the feedback loop with them – that is, letting them know what we heard from them, what we did about it, and the difference it will make to their lives. The building blocks are there – Buenos Aires’s BA Elige is an experiment in progress, and we’ll see whether city residents feel the projects chosen by them make a difference in their lives. The government of Canada is closing feedback loops with Canadians, letting them know what they heard in their open government consultations, what actions they’re taking based on that feedback and what it might mean for Canadians. The City of Austin used an online portal to solicit city resident feedback on how to increase recycling in Austin, and to report back on the changes they’re making based on that feedback. These open government champions are exploring answers to the critical question: how can we make sure government openness leads to meaningful, tangible, visible improvements to people’s lives? Evidence, like that summarized in Feedback Labs’s Is Feedback Smart? paper, shows that listening and responding to citizen feedback can lead to major improvements in outcomes, sometimes on the order of 30% improvements in metrics like child mortality. Openness, transparency and citizen engagement have the potential to make a real difference in people’s lives. We know feedback is the Right, Smart and Feasible thing to do. How can we make it the Expected thing to do? Because when residents expect to be consulted, expect to have their feedback heard and acted upon – that’s the key to a sustained open government agenda. A systems design engineer by training, Megan has over a decade of experience promoting adaptive development. As Co-Director of Engineers Withour Borders Canada’s program in Malawi, Megan focused on finding ways to strengthen formal and informal feedback loops in the Malawian water and sanitation sector. More recently, Megan worked with the Global Delivery Initiative secretariat at the World Bank to promote a common language with which to explore service delivery challenges and solutions. Megan is a graduate of the University of Waterloo and the Woodrow Wilson School at Princeton University.